Image found here via Pinterest. Now coming to the end of a busy second week of the new school year, this quote seems very apt! After the luxury of a long holiday it can feel like a bit of a shock to the system when the working days and weeks are flying by and it seems I barely have time to eat and sleep, let alone anything else. But reading is important. Reading teaches us things and reminds us of things we know but might have forgotten. Reading takes us out of ourselves and helps us reflect on ourselves. Reading is an adventure and a quiet space to rest in. 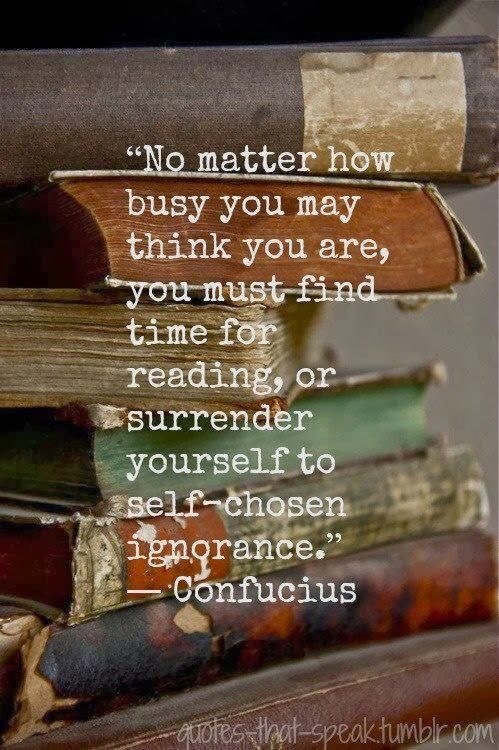 So we must make time to read, no matter how busy life gets.